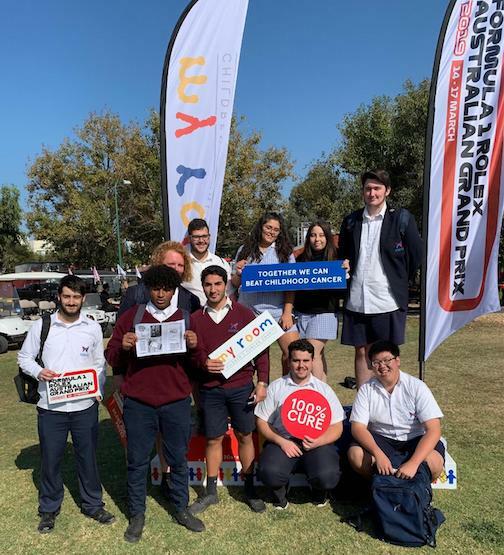 On March 14, our Year 12 VCAL students were lucky enough to attend the Australian Grand Prix, a motor race held annually in Melbourne and broadcast around the world. When they arrived the racing teams were testing and qualifying the cars for the big race on Sunday. Our students were impressed by the different styles of cars as well as the latest Formula 1 models. There were all kinds of different activities happening beside the track too. Our Year 12s loved being in a Range Rover SUV while it was put through its paces – it stayed completely balanced while being driven over odd shaped objects and its automatic braking system stopped it slipping down a very steep ramp! As the car faced the ground, Laura’s comment was “AHHHHHH” and we can fully understand why. Our Year 12s are all grateful to Mr Daigle for the corn dogs, and for organising this amazing day.